Texas Instruments (TI) (NYSE:TXN) DLP® Products presents data that shows 3D, when used as a teaching tool in classrooms, has a widespread positive impact on how students learn. The independent study is announced today at the UK launch event in Claridges, London and hosted in collaboration with The Company of Educators. 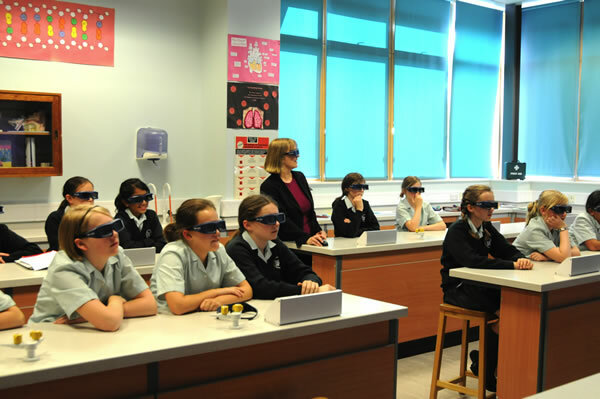 Conducted in classrooms across seven European countries, the research compares the difference in comprehension, information retention and overall behaviour between students learning via traditional 2D methods versus learning via 3D projection. The research project involved 740 students (ages 10-13), 47 teachers and 15 schools across France, Germany, Italy, Netherlands, Turkey, United Kingdom and Sweden between December 2010 and May 2011. Students were tested before and after the lessons, with one control group learning with 2D methods only, and the other receiving the same instruction, but with 3D content added into the lessons. Students were also tested on their ability to recall the information four weeks later, and researchers collected observational data on the engagement level of students at set intervals during each of the lessons. Adoption of 3D-Ready projectors looks to have no signs of stopping. According to the Pacific Media Associates (PMA) 2011 Q2 Census Report, nearly 2 million DLP 3D-Ready projectors were available globally at the end of 2010 and 4.1 million units are expected on the market by the end of this year. This comes as no surprise with the lifelike images that 3D projection can provide, which not only keep students’ attentions, but also provide an immersive, 360-degree view of content that previously could only be taught using flat, 2D images and videos, or rudimentary models and figurines.